Standing in a mall in front of a huge collection of gifts or toys, or buying farm fresh fruits packed in a box, you must have noticed those custom boxes which do not much look like boxes but still serve the same purpose. These boxes have sensational curves and edges where the piece of cardboard does not exist and an empty space or a piece of transparent plastic sheet takes its place. This type of boxes is called die cut boxes. 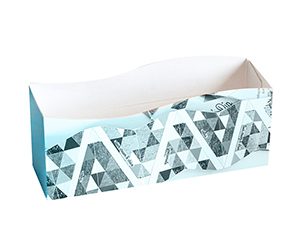 Customized die cut boxes are very hip and in because they are used in everyday retail packaging and gift or toy packaging. Why Get Custom Die Cut Boxes? Custom die cut boxes are more impressive than the premade die cut boxes. These boxes are die cut on demand; each and every centimeter of die cut curves and edges is there for a reason. These boxes are made to impress the beholder right off the bat. The top-notch packaging companies make them as tools of branding and marketing. With the smart placement of company’s name, product’s name and logo etc. on top or bottom or sides of the die cut, they make an impact on the market: an impact which can neither be ignored by the target market nor be underrated by the competitors. These boxes are the style statements of the companies that get them. Research shows that products which are encased in die-cut boxes sell more than the products that get less exposure to the potential customer’s eyes. What is in a Personalized Die Cut Box? 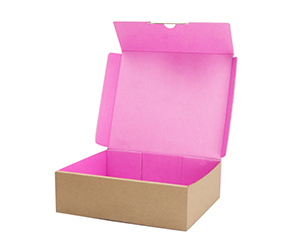 A personalized die cut box is different from all another type of packaging boxes; it comes with a die cut, which offers maximum exposure to the encased item; this is the marketing edge of this box over all other boxes. However, every die cut box is not like a custom made die cut box. A customized die cut box is called so because of many valuable customizations. First of these customizations is in terms of material. You can choose from a wide range of materials. These materials include, but are not limited to, corrugated fiberboard, Kraft, Bux Board and other materials. Then it trickles down to color and design-related options. We offer two color models to choose from CMYK and Pantone. As far as design is concerned, the choices are almost unlimited. You may get a gold or silver foil coating with a gloss or matte finish. You may get an aqueous coating if your product is vulnerable to moisture, and if the product is UV sensitive, get the spot or full UV protection. Also, we offer PVC sheet, raised ink, debossing, embossing and other design-related options. Why Get Customized Die Cut Boxes from PackagingBlue.Com? PackagingBlue.Com offers its customized die cut packaging solutions at very affordable rates, zero shipping or hidden charges and at the unbelievably blazing fast speed of 3 to 4 business days. However, these reasons are not enough for you to choose us; well, here is our three-fold customer satisfaction process that satisfies each and every one of our customers. At the first step, you talk to our customer support experts to let them know of your queries, questions, objections, and concerns. They will answer all the questions and concerns and if you are satisfied, they will put you through to the sales team. The sales team will talk to you again, get all the necessary details and finalize the sale’s details. They will confirm these details and then convey them to the packaging and quality assurance experts. The packaging experts will print the boxes as per the finalized details and then quality assurance experts will check them to make sure that there is no flaw in printing and manufacturing. Then the boxes will be shipped to you within 3 to 4 days. In addition to above information, these Boxes are ones that are made with machines where dies are inserted, and the sheets are fed inside and cut according to a particular size and shape. The first step in preparing such packs is the creation of the dies that are referred to as a tool. The tool is inserted into the machines, and these devices are used to manufacture making them known for their unique shapes and designs. The packs are prepared in a flat form and can be kept in this way until they reach to the business where the goods are ready for packing. These flat bodies intended for packing can be assembled into containers in a short time length.